Hello, Sassy friends! Peggy here. Welcome to our challenge blog. Did you wrack your brain trying to figure out how Sassy Cheryl did guessing the owners of last week's projects? Only this writer knew the artist behind each sketch... and our own team members were totally stumped too. I guess we did a fabulous job fooling everyone. Bottom line!!??! We "Stumped Sassy Cheryl"... yes, the DT went to great lengths to change up their typical style because we wanted to fool Sassy Cheryl and we succeeded! Perhaps a rematch might be in the near future. How did you do? Did you get the majority right? Participants got an entry in the challenge... and those who guessed Cheryl's take on this super-duper challenge correctly got another entry. I threw all of the names in a bowl and let one of my pups pick out a name... It's Jennifer (Flip-Flop). Congrats to you Jen. 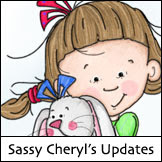 Please email Sassy Cheryl to arrange for your $10 gift certificate to Sassy Cheryl's shop. Just a bit more DT business before we move on to this week's challenge... On a sad note, our very talented Chrissy had to leave our design team to care for family matters. 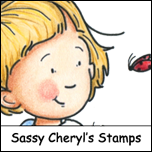 Chrissy has been sharing her beautiful work since we started Sassy Cheryl's challenges almost six months ago. Thank you so much for all you've done for Sassy Cheryl. We'll miss you, wish you all the very best and we know we will see you here at our challenges when time permits. Our talented Cathy takes the helm as our hostess for the next two weeks, and this week her challenge is to create an altered notebook using an image from Sassy Cheryl's shop. Here's how our DT has interpreted Cathy's challenge. To play along, just alter a notebook using a Sassy Cheryl image. We'd love to see what you create. 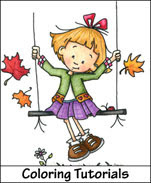 Our random winner will receive a $5.00 gift certificate to Sassy Cheryl's Shop. Just link up your post here using Mr. Linky. 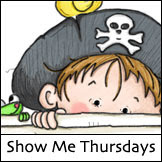 You can link to your blog, SCS, PCP page, etc. up until Monday evening, August 9th, when we close our current challenge. We'll come by to say hello and see your lovely work, then pick a random winner next week. See you then Sassy friends! I think I will have to go shopping for more notebooks and give them to friends early December. Love the DT samples. Congrats Jen! Ladies. . .LOVELY and inspiring as always. I don't mind. Just means that you all had to cheat to win. :) : ) I'm sure that was Peggy's idea. Was a lot of fun. Congratulations Jeni on your win! Thanks Cathy for getting me started on this project. I had several I have been wanting to make and procrastination has been my best friend I'm afraid. Boy the design team has given some me some wonderful inspirations. Thanks DT. I love this challenge!!! Thanks so much for the awesome inspireation from the DT!!! !